We all hear it and think we know it. But do we really know who our customers are? What triggers their buying? Do they have cultural, social, personal or psychological characteristics that impact their buying behaviors? Are your current customers really your ideal customers? The answers to these questions help marketing professionals ensure success of marketing efforts and help your business work smarter to increase revenues. 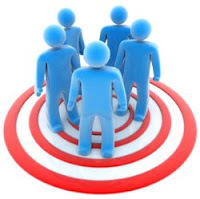 Targeting the wrong customers is one of the most common pitfalls for businesses. Having a well-defined strategy for determining which customers/sales opportunities to pursue creates efficiency and success faster than any other activity. Marketing must know its current and ideal customer inside and out. Without this knowledge, money is wasted on initiatives that may or may not generate new customers or sales. Consumer and target markets must be clearly defined. It's not uncommon for a business to have to refocus and revisit their targeting, especially if it has not been clearly identified – which creates a slowdown in the revenue generating process. What are you selling? Are there growth areas you need to support? Do you need a channel marketing strategy to meet different customers? Are there geographic considerations for selling your product/services? Do different geographic areas require different pricing? Are there industry differences in your customer base? What are the demographics of your customers (age, education, etc)? How often do your customers buy? Where do they buy? Are we in a saturated market? Financial implications? What is our market share by customer base? Is this where we want it to be? Bottom line: Targeting is cricital for success. Doing business without knowing what your target market is will prevent you from reaching your objectives: increased sales, market share or brand awareness. Want more? I read a good article on defining your target market on the Inc. website.